HTC U11 smartphone with the new ‘Edge sense’ feature has been launched in India. HTC’s new U11 is also called the ‘Squeezable phone’ thanks to its Edge sense feature, and the upcoming phone is priced at Rs 51,990 for 6GB RAM+128GB storage variant. HTC U11 will be available starting June end. HTC U11 comes with something called Edge Sense, where a user can squeeze the smartphone to set certain commands and functions. For instance, the squeeze can be customised to open an email app, or a game, open the camera app, take a picture, activate any of the voice assistants. Essentially the ‘squeeze’ gesture can be customized by the user for whatever action they prefer. HTC’s Edge Sense can be used even with gloves on, and the phone will work fine. In terms of design, HTC U11 continues with the 3D Liquid Surface design we saw on the HTC U Ultra Play. This phone will come in blue, black, red and silver colour options, and the overall finish is glossy, which did make the earlier HTC U Ultra a little slippery. Dimensions of the HTC U11 are 153.9 x 75.9 x 7.9mm, and it sports a 5.5 inch Quad HD (2560 x 1440 pixels) resolution display. HTC is using the Super LCD 5 display with 3D Corning Gorilla Glass 5 on top. HTC U11 also runs the latest Qualcomm Snapdragon 835 processor, which is a 64 bit octa-core one with up to 2.45 Ghz clock speed. The RAM and storage variant mentioned is 4GB + 64GB and 6GB RAM + 128GB storage. This one has a dual-SIM hybrid slot with microSD support, and the storage is expandable up to 2TB. On the camera front, HTC U11 comes with 12MP rear camera with the company’s UltraPixel 3 one. It has 1.4μm pixel size, UltraSpeed Autofocus, BSI sensor and OIS. The aperture is ƒ/1.7 and there’s Dual LED flash on board. HTC has added a Pro mode with manual control as well as RAW format support on this phone. The camera is capable of 4K recording with 3D Audio, Hi-Res audio, Acoustic Focus as well. The front camera is 16MP with BSI sensor, live make-up, auto Selfie, Voice Selfie and HDR boost, along with support for 1080p video recording. HTC U11 is a 4G-VoLTE enabled smartphone with support for most the major bands for India, including Band 5, Band 40, Band 41, etc. HTC says the U11 is capable of support Cat 15 LTE with download speeds up to 800Mbps. 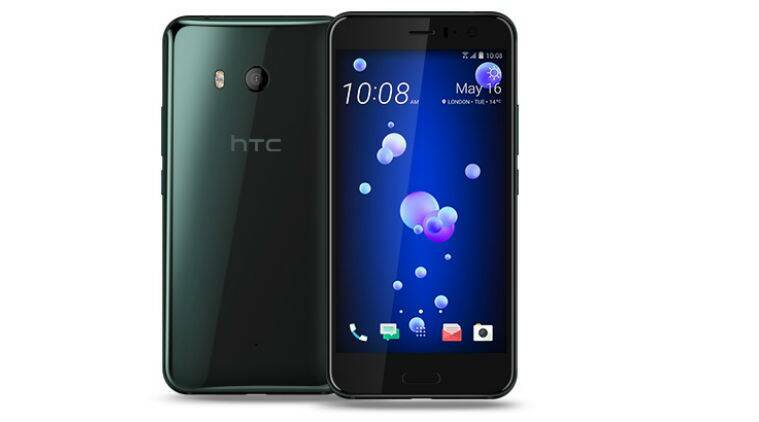 On the sound, audio quality HTC U11 has the company’s HTC USonic with Active Noise Cancellation as well as HTC BoomSound Hi-Fi edition. Sensors on the HTC U11 are Ambient light sensor, Proximity sensor Motion G-sensor, Compass sensor, Gyro sensor, Magnetic sensor, Fingerprint sensor, Sensor Hub, Edge Sensor.